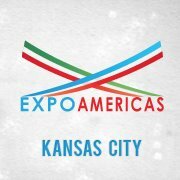 KANSAS CITY, Missouri — Expo Americas (www.expoamericas.com) announces that Union Station will be the site of Expo Americas, scheduled for September 15 and 16, 2012 to kicking off National Hispanic Heritage Month. 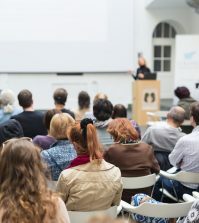 The business and consumer expo is expected to draw an estimated 30,000 people of all ages, ethnicities and will encompass all of our surrounding communities. Sixteen years ago, a group of local Kansas City business owners organized a one-time event called the, “Hispanic Economic Awareness Expo” that was attended by nearly 27,000 at Kansas City Market Center . It was a successful event that has not been replicated. Expo Americas is a return of the original organizer of that event, in the same spirit to bring toge ther families, entrepreneurs, business executives, industry professionals, community leaders, educators and service organizations for an opportunity to spotlight issues, sample products, access services and enjoy top entertainment. The burgeoning Latino demographic is a contributor to consumer trends nationally and in the Kansas City metropolitan area. Indicators are reflected though bolstered advertising and marketing efforts targeting Latinos as seen recently with the high profile concerts being performed at Kansas City’s Sprint Center . According to the U.S. Census Bureau, the total number of Latinos in 2010 in the state of Missouri was 209,612 and in Kansas was 299,577 translating into a billion dollar economic boon in sales and revenue for the two states. Featured attractions will include a Quinceañera Fashion Fare, Cultural Arts Plaza, Business Economic Symposium, Career Fare, Health & Fitness Pavilion, Children’s Adventure City and Culinary Plaza with more to be announced. An estimated 500 exhibitor participants from local organizations, businesses and national corporations will be presenting consumer products and services. Product sampling, demonstrations and free services will be available. 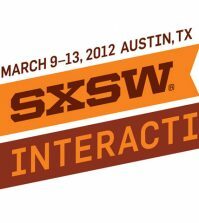 For sponsorship, exhibitor, talent and ticketing information, visit www.expoamericas.com or call Jason Smith Mendez at (816)912-7677. For Carnival Operations, contact Joe Ochoa at (727)242 6682. For media inquiries, contact Alice Gomez of DIÁLOGO at (858) 461-1970 or alice@dialogo.us.